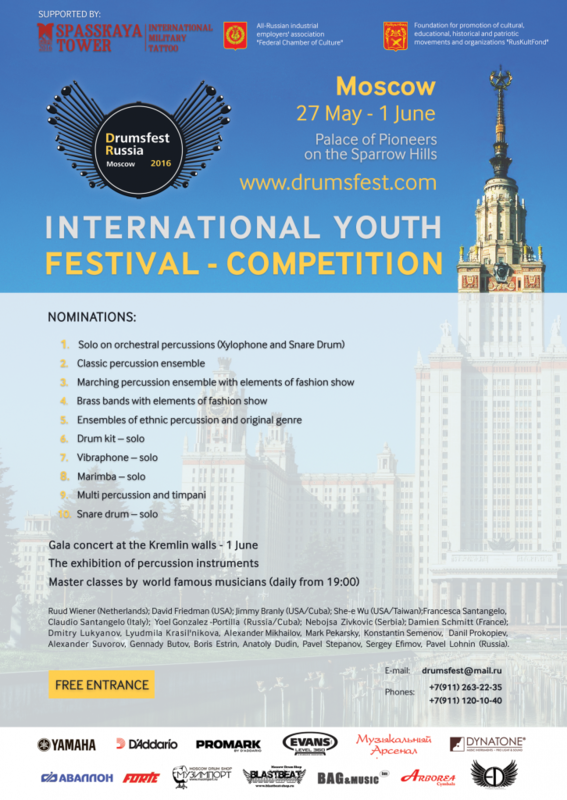 International festival-competition “Drumsfest Russia” is a professional competition of percussion instruments among students of music schools: music schools, art schools, music colleges and colleges, Universities, beginners to professional performer and amateur groups. For the first time the competition was held in 2010, and currently has a well-deserved reputation among the percussion community. 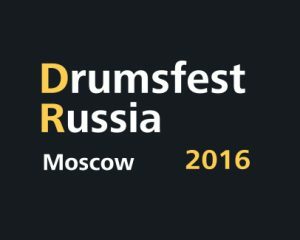 “Drumsfest Russia 2016” — 290 applications from 17 countries, 1270 participants. In 2016 in the framework of the Federal Target Program of the Ministry of culture of the Russian Federation “Culture of Russia 2012-2018” with the support of Moscow government the competition “Parade drums” became the key event of the International festival “Moscow for children” and was held under the auspices of the International military music festival “Spasskaya tower”.